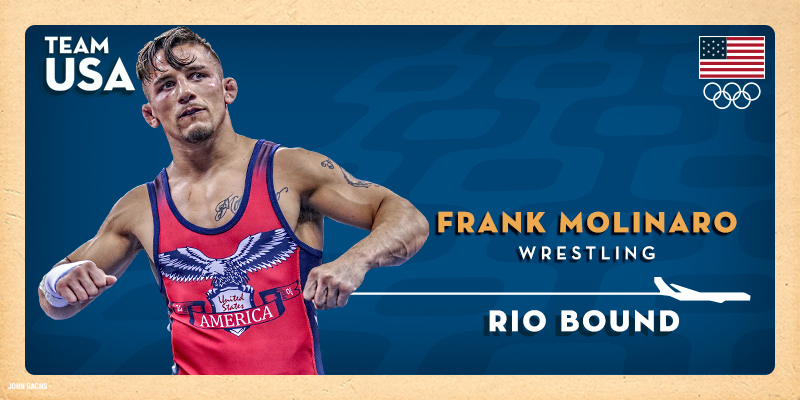 United World Wrestling, the sport's international governing body, has announced that Frank Molinaro has been awarded an Olympic quota spot added to the 2016 U.S. Olympic Team. IOWA CITY — On Saturday morning, Brent Metcalf arrived at the site of his grandest glories and believed he would earn the crowning opportunity of his life. He entered the U.S. Olympic wrestling trials as the overwhelming favorite at 65 kilograms. He had lost to one American wrestler over the past three years, and he would be wrestling at Carver-Hawkeye Arena, where he twice became a collegiate national champion at Iowa. He had finished second at the 2012 trials, and after four years, he would realize his aim.